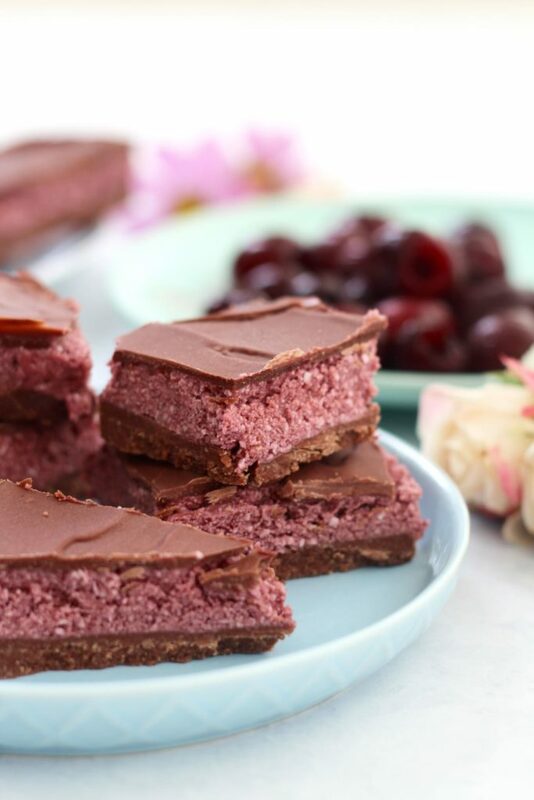 This easy healthy cherry ripe slice will hit the spot! Gluten free, refined sugar free, dairy free. 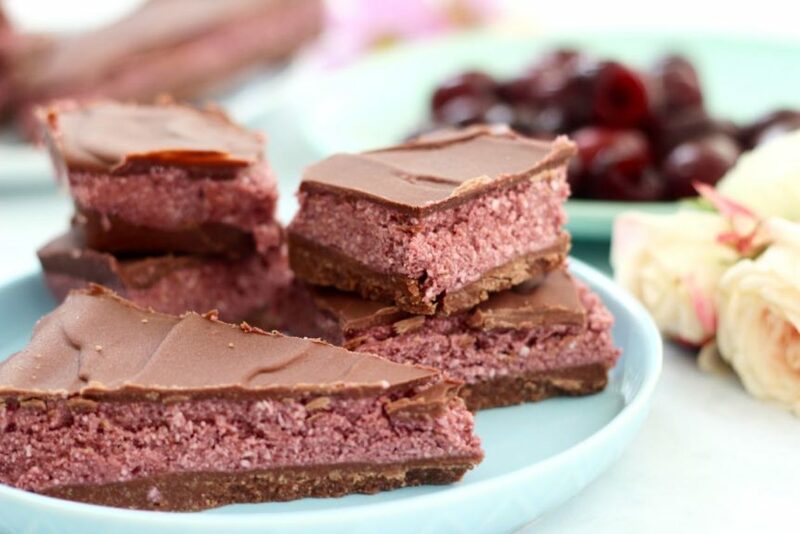 This easy healthy cherry ripe slice will hit the spot! We’ve had a few requests to make a Merry healthy cherry ripe slice. So we did! It’s a special Get Merry app only recipe! Say what? You’ve never heard of our app? It has almost every single recipe from this blog on the app. We left off some of the old ugly ones (hehe). It has special app only recipes (not published on the blog) like this healthy cherry ripe slice! And picnic slice and banana choc chip muffins. Yep! It’s super easy to use. Like ridiculously easy peasy! It has the convenience factor. Perfect for those times when you have ZERO dinner inspiration and need a recipe STAT. You can purchase additional (super cheap) recipe bundles (they are like $1.49). We’re even adding our Get Merry book as a premium bundle (watch this space yah!). It has over 200 recipes available on it. It made it to number 1 in the Aussie app store the day we launched. YAY! You can download it super doooooper easily on iPhone and iPad right HERE. It’s also available on Android! You can get it over HERE! Ok, back to the epicness of this super yummo healthy cherry ripe slice. It’s gluten free, refined sugar free, dairy free and only filled with good stuff! This slice will make your tummy happy. Guaranteed. If you know us well you know we make a lot of raw treats. We love the raw factor because they are always so super easy PLUS you can freeze them to help you with portion control and prep! If you make this delish cherry ripe cake let us know or share a pic on special media or join our free Get Merry Facebook group! P.s if you want this recipe you’ll need to download the Get Merry app! For all the info on the app just click HERE!